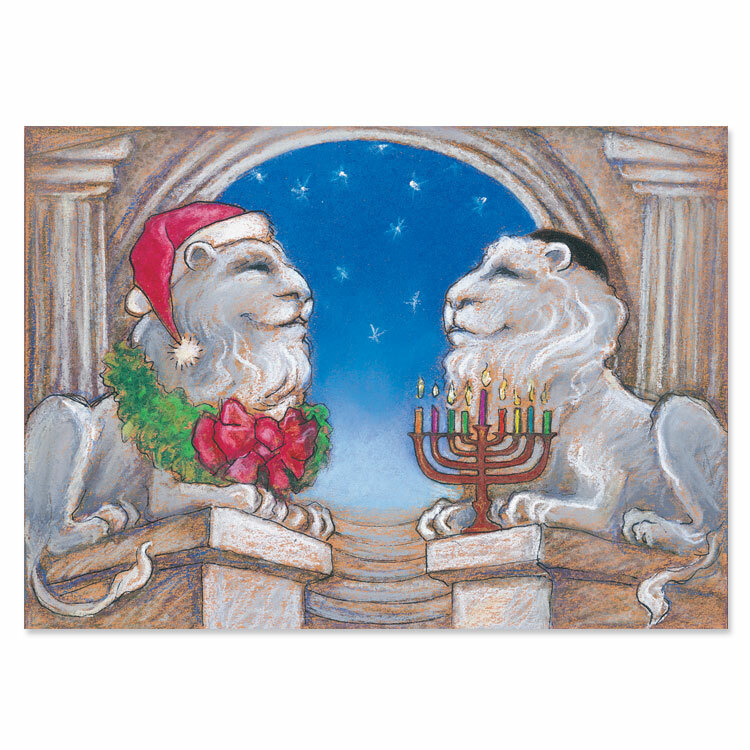 Our Interfaith holiday lions greeting card design is inspired by Patience and Fortitude, the world renowned pair of marble lions that stand proudly before the New York Public Library on Fifth Avenue and 42nd Street. Hope they inspire you! This holiday season send a special MixedBlessing interfaith holiday greeting to connect with your friends, family and colleagues that says Happy Holidays to all. MixedBlessing, www.mixedblessing.com, designs interfaith, multicultural and peace and diversity holiday greeting cards to celebrate our diversity. Peace to all.